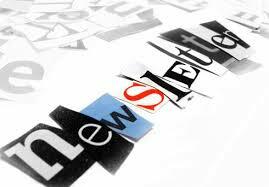 The Beacon is the quarterly newsletter of Saint Martin’s Episcopal Church, Chagrin Falls, Ohio. Out of print for a while, it returned in 2015 as a medium of news, information, inspiration and announcements. It is designed to supplement the other media of parish communications, such as our new website and the weekly service leaflets, as well as the information kiosk in the Burroughs Room and the displays on the entryway tables, where much of our life together is presented. The Beacon is published each season of the year: summer, fall, winter and spring. Hard copies are available on the tables in the front entryway of the church, through limited mailings, especially to shut-ins and out of town friends of the parish, and here online in pdf. Click on the prompt below to access pdf versions of The Beacon. The Beacon January 6, 2019 The Winter 2019 Issue with a farewell from Anna Sutterisch and news of our events and activities from November 2018 to January 2019. The Beacon September 30, 2018 The Fall Issue of 2018 with a focus on formation ministry and the 65th anniversary of Saint Martin’s, Chagrin Falls (1953-2018). The Beacon June 21, 2018 The Summer Issue for 2018, including articles on organist Renee Brown, as well as our 2018 high school graduates. The Beacon December 21, 2017 The Winter Issue for 2017-2018, reviewing the activities of the fall and looking forward to plans and projects in the new year. The Beacon September 21, 2017 The 2017 Fall Issue covering the activities of the summer and promotions for the autumn season. The Beacon June 21, 2017 The 2017 Summer Issue announcing the hiring of a new rector, offering updates on ministries and recognizing the achievements of our 2017 graduates. The Beacon March 21, 2017 The 2017 Spring Issue introducing our new vestry members, as well as all of our vestry and wardens, and with articles by Anna Risch and John Cerrato. The Beacon December 20, 2016 The 2016-2017 Winter Issue reporting on the fall and upcoming winter and spring events. The Beacon September 21, 2016 The 2016 Autumn Issue reporting on upcoming fall activities and events, the columbarium project, music, parish life, stewardship and more. The Beacon June 20, 2016 The 2016 Summer Issue celebrating 2016 graduates, new ministry initiatives, activities of our people and clergy through the spring season and more. The Beacon March 21, 2016 The 2016 Spring Issue reporting on the rector decision and talks with Saint Luke the Evangelist Church, as well as upcoming events and ministries. The Beacon December 21, 2015 The 2015-2016 Winter Issue reporting on parish trends, the Christmas Pageant and topics of spirituality, wellness and other ministries. The Beacon September 23, 2015 The 2015 Autumn Issue reporting on vestry initiatives, stewardship, with articles on topics of spirituality, wellness, and outreach. Many parish and diocesan events are promoted. The Beacon June 21, 2015 The 2015 Summer Issue reporting vestry and clergy news, honoring our 2015 graduates, with articles on topics of spirituality, mission, stewardship, health and wellness and welcome. A six month parish finance report is included, as well as notices of upcoming events and activities.